February has come and gone and we have a lot of exciting builds to show off! Here is a customer's 2013 Ram 2500 featuring a Carli Commuter 2.0 system, Carli High Clearance Control Arms, 18" Method Double Standards (+18 offset), and 37" Toyo Open Country MT tires. Here is a 2016 Ram 2500 featuring a Çarli Back Country 2.0 system, 17" Trail Ready Simulated Beadlocks, and 35" Toyo Open Country R/T tires. This 2015 F250 features a Carli Leveling Kit 17" Method NV's, and Toyo Open Country ATII's. This 2016 Mega Cab 2500 features a Carli Commuter 2.0 system, factory 20's and 35" Nitto Trail Grappler MT tires. 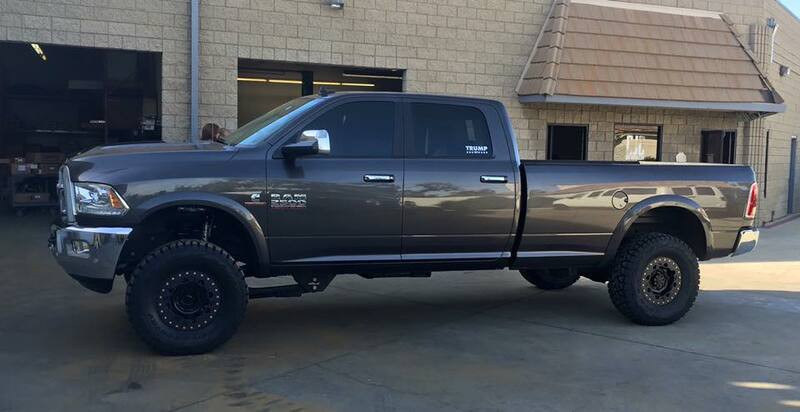 This 2015 Mega Cab features Thuren front and rear springs, Fox 2.0 shocks front and rear, 18" Method NV's, and 37" Toyo R/T's. 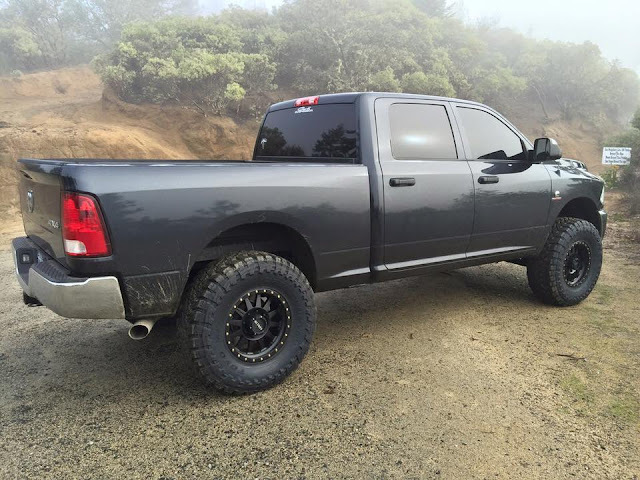 This 2015 Ram 2500 features a Thuren Fox IFP Leveling Kit, 18" XD Series wheels, and 35" Toyo Open Country MT tires. This 2013 F250 features a Carli Pintop 2.5 Leveling System with Carli Full Progressive Rear Leaf Springs. This 2015 F250 features a Carli Back Country 4.5" system, Method Mesh wheels, and Toyo MT 35" tires. This 2015 F350 features a Carli Back Country 4.5" system, 18" Fuel wheels, and 37x13x5x18 Toyo MT tires. This 2012 Mega Cab features a Carli Pintop 2.5 system, a Carli Torsion Sway Bar, and Carli Full Progressive Rear Leaf Springs.